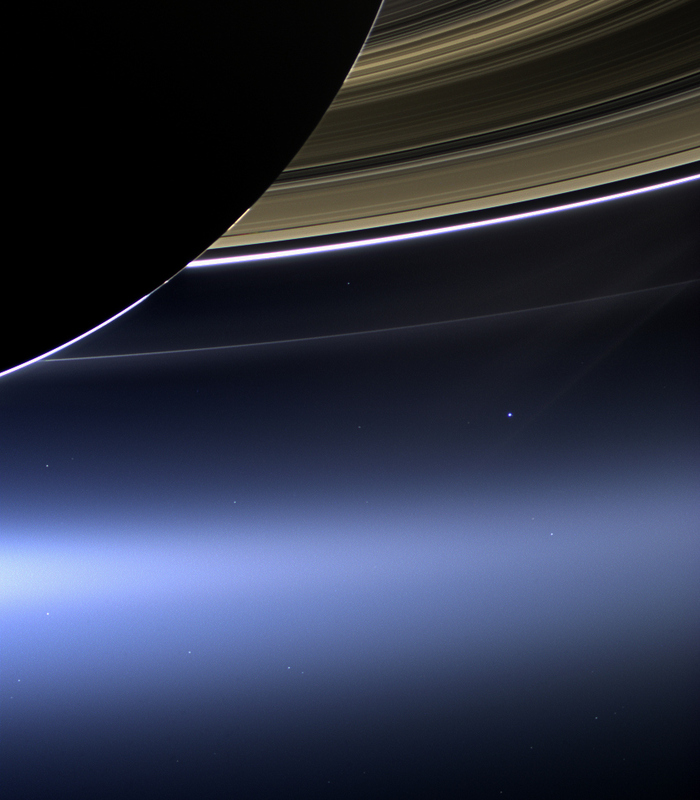 On 23rd July, NASA published a picture of Earth taken from the dark side of Saturn by its Cassini spacecraft. 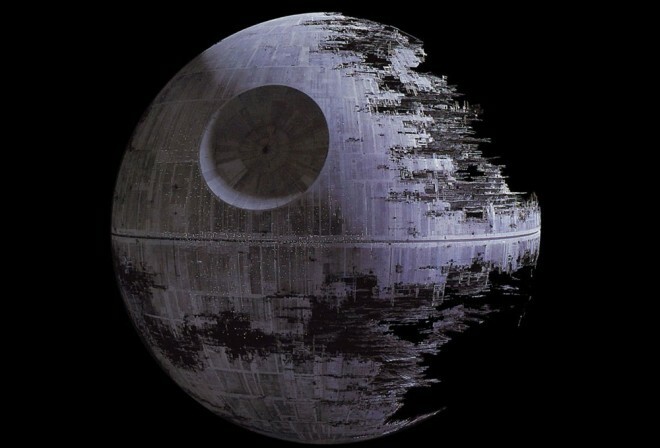 It is, apparently, only the third time that Earth has been photographed from the outer reaches of the solar system. The picture was taken in a photo session of Earth that occurred on 19th July between 2:27 to 2:42 pm PDT (9.27 to 9.42 pm in the UK). We have the technology to take that kind of picture from almost 900 million miles away. Look at that amazing picture and think about it just for a moment. Where were you and what were you doing between 9.27 and 9.42 pm? I was eating my tea, having walked home through Gloucester Park after a trip to the cinema and a showing of Pacific Rim. It had been a beautiful evening – I posted a picture on Facebook – and I spoke to Laura on my way. I’m on that dot. We are all on that dot. All of us together. Suddenly, we all seem very insignificant. The rover Curiosity launched from Cape Canaveral on 26 November 2011 and landed in Gale Crater, Mars, on 6 August 2012. Those of us who spend our days in the whirl of headlines about politics and sport and celebrities may have missed the steady stream of quiet but sensational revelations from the latest robot sent by NASA to investigate Mars, our nearest planetary neighbour. All of which is fun for techno geeks like me, but misses the crucial point of the Curiosity mission and its potential significance. 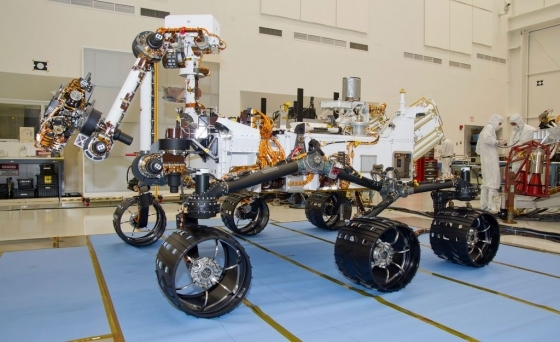 Since landing, Curiosity has been picking its way over the arid surface of Mars, attempting to assess whether conditions have ever existed that could have supported microbial life. To that end it has been looking for evidence of any role played by water in the planet’s history, not least of all because it is no secret that this mission has been created with a view to a potential manned exploration and scientists want a better understanding of the Martian environment. Today, the BBC reported on the incredible discovery of rock that confirms earlier findings from Curiosity that neutral water once existed in the Gale Crater. NASA’s own website contains this pretty stunning admission: “Curiosity’s analyzed rock sample proves ancient Mars could have supported living microbes.” NASA confidently proclaim that Curiosity is now seeing a trend in water presence on Mars. Because the revelation that life could exist elsewhere other than Earth strikes at the theological and philosophical heart of thinking that has informed the way we organise our societies for millennia. Everything, from myriad individual personal destinies (tragic and otherwise), to the political, judicial, economic and social organisation of communities, nations and entire civilisations, has been affected by the belief that life has only ever existed here, in this one special place: Earth. How do the major religions of the world respond if it is proved conclusively that life once existed elsewhere in our Solar System, let alone the Milky Way or the Universe? Could they adapt to accommodate a revelation at least as shattering to established world views as the Copernican revolution – or would they continue to maintain a position like that of the Heliocentrists, becoming increasingly irrelevant and absurd over time? We might not think it matters – but there was a time when recognition that our Sun orbited the Earth was axiomatic to an assessment of the authenticity of belief. Could those who profess faith adjust to accommodate the enormity of the truth that life once existed elsewhere – and might exist now elsewhere – without seeing the entire edifice of that faith crumble? I suspect those who claim truth only in the most fundamentalist of interpretations will have the hardest journeys of all. To infinity and beyond: Lego’s final frontier? For those who missed it last month, this is one Romanian teenager’s astonishing and, in a strange way, deeply affecting tribute to the wonder of space exploration and the demise of the shuttle programme. On 31st December, 2011, Oaida Raul, who has always been fascinated by space exploration (Bob and I know a thing or two about that), launched a Lego replica of the shuttle from a site near Lauda-Königshofen, in Germany. He had found support and backing on the Internet from a random businessman he had made contact with on Twitter and then Skype. They filmed the flight from a camera attached to the same helium balloon as the Lego craft and the HD film of it is simply awe-inspiring. That combination of boyhood dreams, determination to celebrate the end of a space programme that saw both incredible discoveries and crushing tragedy, technology enabling two people whose world’s would ordinarily never collide to conspire in such a joyful endeavour is a reassuring testimony to humankind in what seem such cold, cruel times. Read the story in his own words. And click through to YouTube to watch the video in HD. It really is worth it.